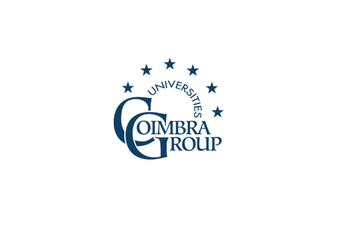 The Coimbra Group network has published the announcement for the Arenberg-Coimbra Group Prize for the year 2019 available for former Erasmus students. The Arenberg Foundation’s aim is to „encourage greater and more widespread knowledge of the history and culture of the European continent”. The prize is of the value of EUR 5,000. Applications will only be considered if both criteria are fulfilled. a four-page long essay in English language, with the topic of the applicant presenting his/her thesis, whereby discussing how the Erasmus exchange has contributed to his/her university studies and demonstrating the added value of that exchange to writing their Master degree work. Receipt of the applications until 30 November 2018, to be sent electronically to Ditta Turcsányi, email address: ditta.turcsanyi@rk.elte.hu . Please write in the subject line: NAME_Arenberg-Coimbra Group Prize. Applications of a maximum of three participants can be forwarded by every CG university to the Coimbra Group office (2nd round). Taken this into consideration, the jury of ELTE will pick three applications to reach the second round with the CG office. A notification message will be sent out to every applicant by the ELTE International Office whether his/her application is to be included in the second round or not. The Coimbra Group will announce the winner of the competition, i.e. the 2018 Arenberg-Coimbra Group prize winner by the beginning of April 2018.